Royce says "All Law is Family Law." Attorney Royce Grey Wadsworth, Esq., is a veteran of the armed forces who served tours in Germany, Norway, Korea and Afghanistan. His unit members were as his family, and he took care of those who served under his watch. His motto now, just as then: "your problem is my problem!" Royce knows that all laws are family laws. Your brother or sister may need a criminal defense attorney. Your aunt or uncle may need a personal injury lawyer. Another relative may need a DUI attorney. Sadly, someone may need a divorce lawyer. But also, someone may need an adoption lawyer. Royce dedicated his military career taking care of his troops. Now, Royce is here to take care of you. As your divorce attorney, criminal defense attorney, or your personal injury lawyer, Royce knows that you'll need to rely on his skills and expertise today, just as those whom he once served with in the military. Royce knows it's been his calling to help people through life's challenges. Regardless of the problems you face, Royce is here for you on any day and at any hour. Don't wait. Call Royce Grey Wadsworth today at 334-819-7111 so we can get a resolution for OUR problem. Click HERE for directions. 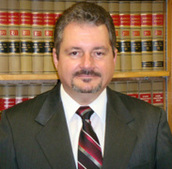 ​Royce wants you to know that you can expect that your case will always be treated with importance and care. That your phone calls will always be very promptly returned. That you will work directly with your lawyer, Royce Grey Wadsworth, not with secretaries, paralegals, or legal assistants. When Royce represents you, you will work together as a team to solve the problem. 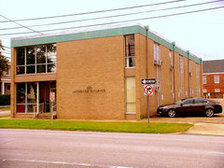 Wadsworth Law Office, LLC., serves Montgomery, Prattville, Wetumpka, Millbrook, Pine Level, Eclectic, and most of Alabama as your personal injury attorney, divorce lawyer, and family law advocate for adoptions, last will and testament, living will and health care proxy, ​legal separation and annulment, and most any other matter that requires our expertise. We can help obtain records from the Department of Vital Statistics. We also file expungements of criminal records. Wadsworth Law Office LLC., strives to get what you deserve, and we strive to leave you satisfied with our service because your problem is my problem! Don't wait. Call Royce Grey Wadsworth today at 334-819-7111 so we can get a resolution for OUR problem. Let's get this problem resolved.